Hey there, I’m the Panda that sews. Let’s give me a capital letter as I am a proper noun, just a bit shy really. I do other things too, but maybe later. First out of the stalls on my sewing voyage of discovery is a Tilly & the Buttons pattern that I rather stupidly read as a beginner pattern: hi there Mathilde. Wrong: Mathilde is not a beginner, she’s intermediate, unlike me. Actually it’s her sister Miette I should have gone for, but she’s happily now also in my possession, and I’m waiting for the arrival of a parcel from Ray Stitch to get busy. All hail Tilly for enticing me into the wonderful world of sewing once again and leading me down the garden path to a whole world of fabric fun. I followed the fabulous online instructions on Tilly’s website to the LETTER for Mathilde, and I’m feeling just a bit pleased with myself that it all worked and actually seems to fit. I’ve even been out in it. Albeit in the dark and to a friend’s house five minutes walk away. Still little steps. 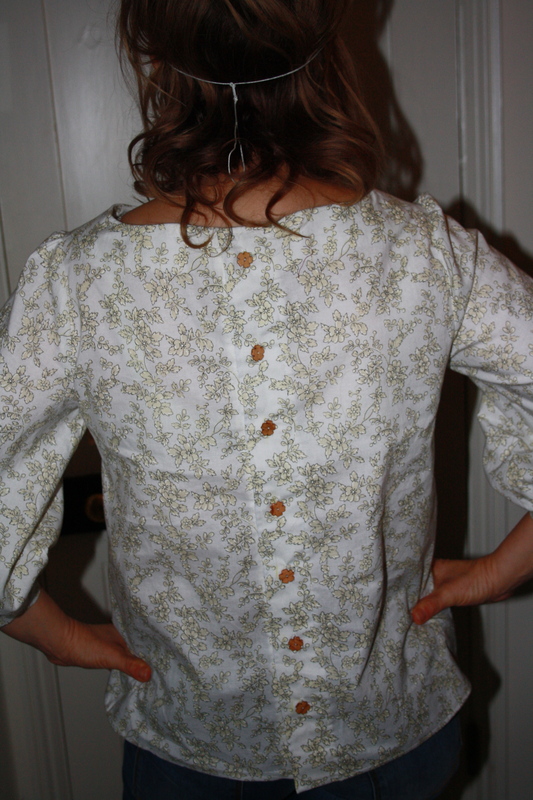 Mathilde is made in a Michael Miller fabric, Hawthorn Blossom, bought from the lovely lasses at Bedecked in Powys. 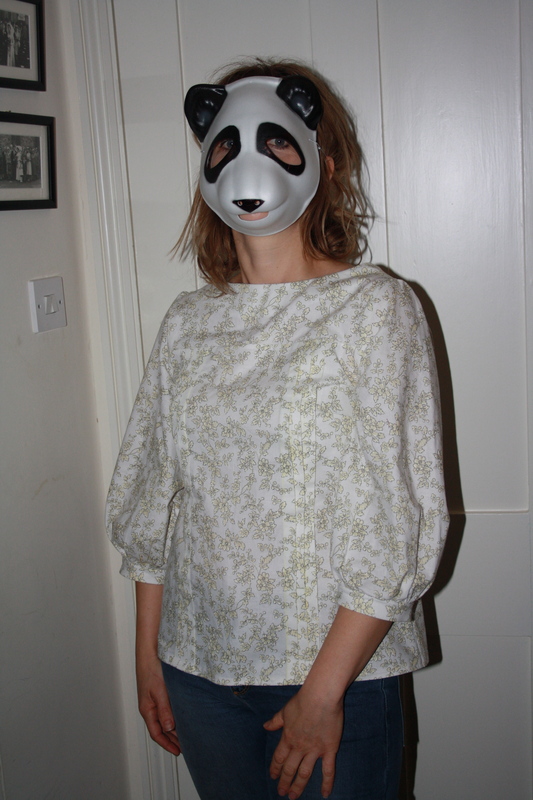 Of course I bought it online; I can’t go shopping in my panda mask now can I? My sewing vocab increases daily. I am now building a stash, quietly and secretly. (Previously I thought a stash was family silver hidden from granny, ready to sell to fund some ne’er do well Med cruise. Hey ho.) I now have an invisible zipper, a foot to go with, and some basic know-how in how to marry the two. It’s a jolly good job I decided to ‘rediscover’ sewing with Google and his mates, otherwise I think I’d be lost. Yep, little steps. Oops, here we go… I knew there was a song in there somewhere.